We were looking for the perfect kibble for our pups. We did our research and determined that Taste of the Wild PREY is the best option out there. 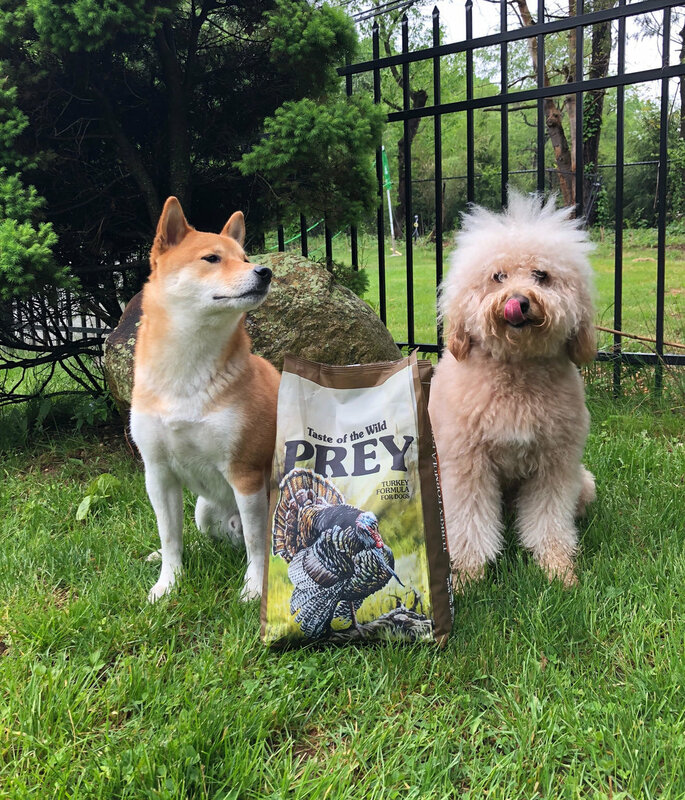 So, we switched Nocci and AJ to Taste of the Wild PREY and they have loved it! 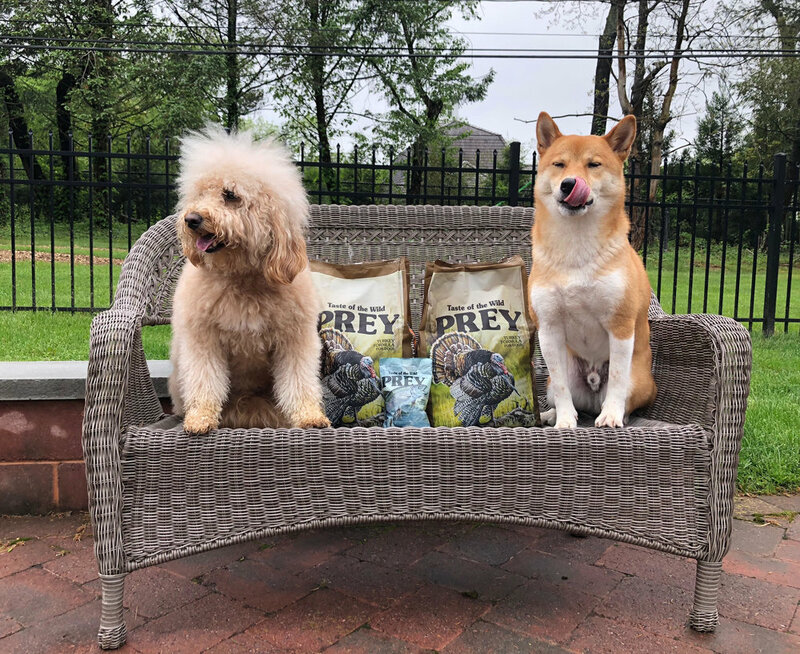 Taste of the Wild PREY is a limited ingredient dog food, meaning less of those unknown ingredients! Each formula contains 4 or less minimally processed key ingredients: real cage-free turkey, spring-fed trout or pasture-raised Angus beef, plus lentils, tomato pomace and sunflower oil. The first ingredient in every formula is either meat or fish, and the meat/fish source is not rendered meat or by-product meals. Lentils are a super food packed with protein, fiber, and complex carbohydrates. Tomato pomace is a source of soluble fiber and antioxidants. Sunflower oil is a healthy fat rich in omega fatty acids. Additionally, the formulas are made with zero grains, non-GMO ingredients, no artificial colors, flavors or preservatives and are secured with vitamins, minerals, and nutrients. As an added bonus, probiotics are added to the food! 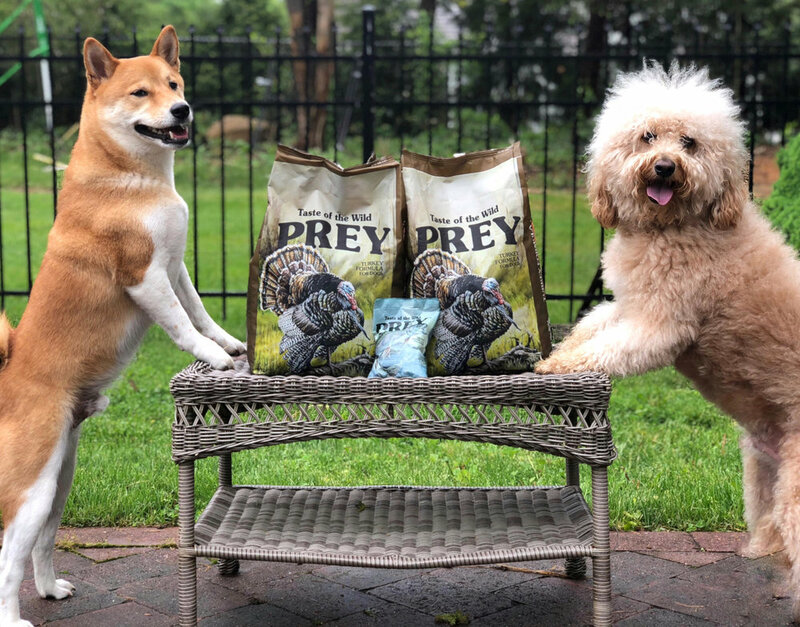 Despite being made with limited ingredients, PREY is a complete diet, fortified with vitamins, minerals and nutrients. In the wild, a dog or cat’s diet was limited to the PREY they hunted and occasional supplementation from plants or fibers. 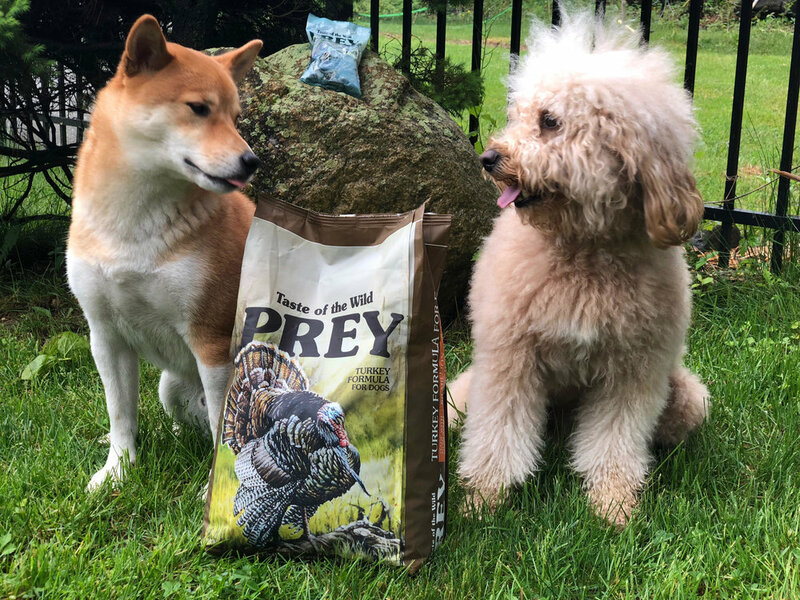 Taste of the Wild PREY is designed to more closely resemble the native diets of cats and dogs, providing the complete nutrition they need without the hunt. With the help of Taste of the Wild PREY, we are feeding our fur babies everything they are craving. Nocci and AJ love the food! They eat their kibble faster than their old kibble and clean their plates every time. They have been able to try ever flavor of PREY and love them all! They have not had digestive upset, their coats are shiny and they have tons of energy! It is important to remember to slowly transfer your dog to his/her new dog food to avoid any stomach pains. Our pups are not able to tell us when food makes them feel badly. We need to take note of our dogs' energy and how they react to the food. When the food gives them energy and is healthy, we know we've done well! A healthy pup means a happy pup! PREY can help determine or avoid the cause of a food allergy or intolerance. Food allergies account for approximately 10-20 percent of allergies affecting dogs. Most allergies are caused by one or more of the protein sources in the food. Additionally, fewer ingredients could be beneficial to dogs or cats who have known intolerances to one or more ingredients, such as eggs, grains or a particular protein source. As our dogs get older we realize how fast time flies by. We do not want to give our dogs food that isn't good for them for another day. Today is the day to switch your dog's kibble! Click this link to buy Taste of the Wild PREY and don't forget to check out their Facebook!